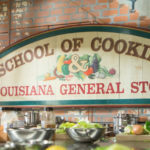 Welcome to the Fun, Food & Folklore of the New Orleans School of Cooking! Since 1980, we have introduced countless visitors from around the world to the wonderful food and rich culture of New Orleans and Louisiana as a whole. 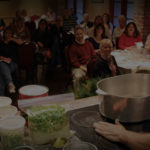 Our entertaining cooking classes and Louisiana General Store are located in a renovated molasses warehouse built in the early 1800s in the heart of the French Quarter, 524 St. Louis Street. We teach the basics of Louisiana Cooking in a way you’ll never forget. Fun is a primary ingredient in our kitchen! 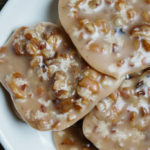 Our Cajun / Creole experts teach New Orleans specialties such as Gumbo, Jambalaya and Pralines, seasoning them with history, trivia and tall tales! We accommodate individuals, private group classes, special events and off-site events. Please see our calendar for a list of daily menus. 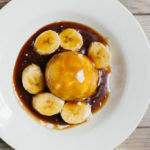 The Louisiana General Store is a thoughtful collection of the best locally sourced products, used and loved by our family of New Orleans School of Cooking chefs. We carry a full line of Cajun and Creole products, cookbooks, spices, gift baskets, cookware, and our famous seasoning – Joe’s Stuff™. The store is open for business 9am – 6pm Monday-Saturday and 9am – 4 pm on Sundays. If you’re out of town and can’t stop by, please shop our online store! Whether you take a class with us, shop our store, or use our products at home – visit the New Orleans School of Cooking as a guest, and leave as family. Watch, learn & eat! 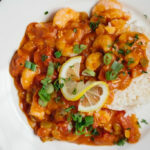 Sit back and enjoy watching our skilled, entertaining chefs prepare a classic Cajun / Creole meal for you while learning about the vibrant history of New Orleans cuisine! Cook & eat an authentic Louisiana meal! In this highly interactive class, our guests actually cut, season and prepare a complete dinner with one of our expert chefs, and afterwards they are able to sit down and enjoy the meal they have just created.